Kim Kelson hunted the fall season on Unimak Island. 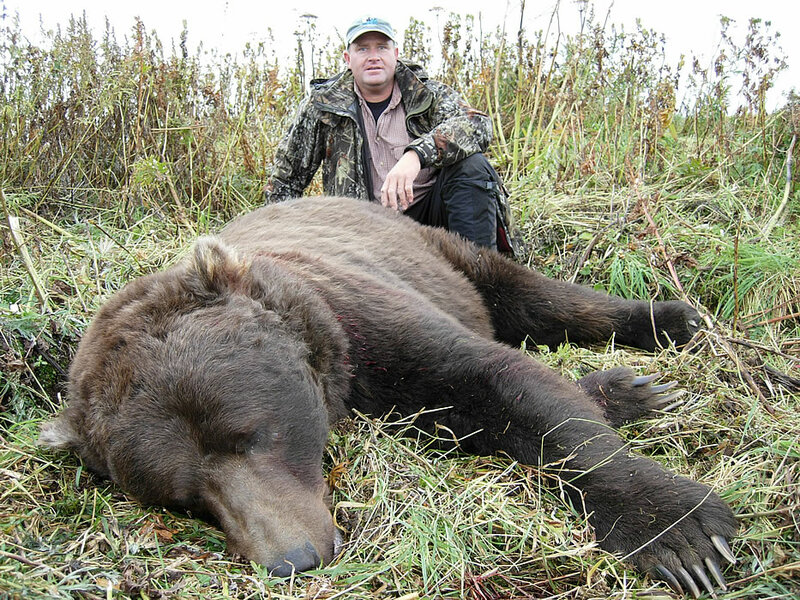 Kim got what he wished for; Kim wanted an up close experience with these big brown bears during his hunt. Kim and his guide spotted a good bear that bedded down next to a stream in an area where it could not be seen. Deciding to go in after it, they nearly stepped on the bear while it was sleeping in a depression. Needless to say, Kim got his wish when the bear awoke just a few feet away, and presenting a situation where Kim shot his bear at less than twenty feet. How’s that for up close and personal?